(Sponsored Post) It’s Viccal & Hanamei! Summer (Yes i know Singapore does not have four season, but still…) is the time for sun-loving and lazing around at the beach / pool side. In order to look good in bikini / swim suit, I’m sure everyone will indulge in hair-removal procedures (be it IPL, waxing, BW, shaving etc). All these will leave your skin irritated and raw. Worst of all, you will have in-growth hair and discolored skin overtime. Do you also feel that you are not pampering your skin enough? Want to give your skin MORE TLC? If you wish to add these concern, continue to read for the solutions! To get the ball rolling, i will start with a brief introduction on the company:VICCAL is a smarter skincare that help consumers of any age to achieve naturally healthy skin. VICCAL strictly believes in 100% use of actives for their products to pamper all skin types. Rest assured that there will be NO alcohol, artificial fragrances, colourants, fillers, preservatives or ingredients that will harm your skin. In case you are unaware of this company, you don’t have to worry as they are really committed to provide the best in accordance to your needs. Skin condition: I’ve Combination skin (Oily on the T-zone but dry on chin / cheeks area). By mid day, T-Zone will be oily. At times, i will experience tightness around my cheeks area. Before the time of the month or during examination period, i will experience breakouts. 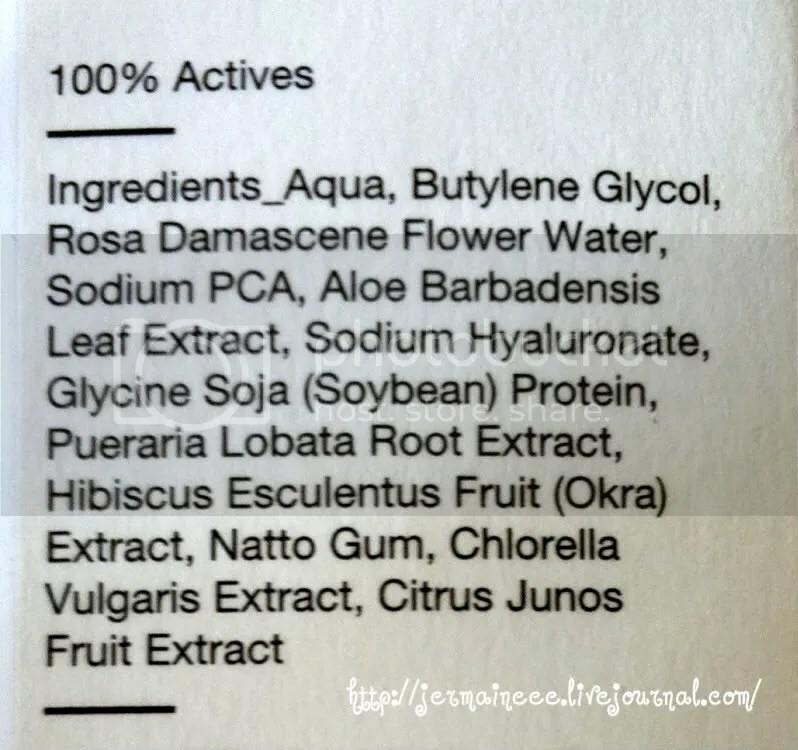 The picture below (credit to Viccal’s website) will tell you how the different actives can benefit your skin. So how will the serum benefit my skin? 1) Helps to regulates sebum secretions (Yah! Reduced Shine!). 2) Nourish and maintain skin’s cellular structures (Yah!! to Radiant skin!). 3) Maintaining Youthful skin (Yah! Reduced skin dullness & dryness!). 4) Continued use will enable tired, dehydrated or oily skin to look firmer and more radiant (Yah! More beautiful me). 5) Improve the appearance of skin’s elasticity (Yah!! QQ skin!). Ladies, you should know that the neck area will be a tell-sign of your age so everyone should not neglect it as well. Good news, you can also use this on areas prone to wrinkles such as the neck and chest areas!! Wow! They also carry two other types of serum used to combat different skin concerns. No 2.11 Detoxify & Heal (Acne prone skin, mild eczema, blackheads, whiteheads and oil seed). No 3.12 Revitalise & Energise (Dry, dehydrated, dull, pigmented skin). My Verdict: I’ll squeeze 3-4 drops onto my palm and pat the serum into my skin before applying my moisturizer (twice a day). The serum has a slight rose scent and it slides on smoothly on skin and is easily absorbed without leaving a sticky film. During the two week of application, i observed some breakouts. Understand that my skin might be purging so i’ve decided to be patient and continue using this product. 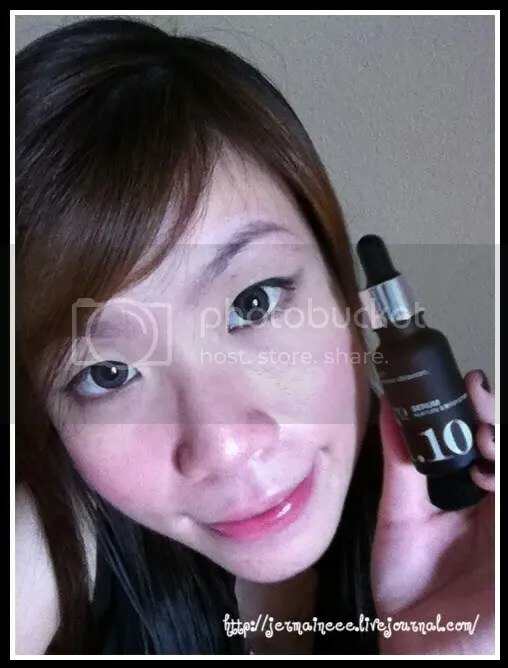 At the same time, i have also noticed that my T-zone is less oily and my skin is more radiant. Make-up also stays on longer. After 1 month of usage, my breakouts have more or less ‘calm’ down. Skin is less oily and i don’t have to blot my T-zone area during mid day. My pores seems smaller and i do not experience anymore tight skin. I have also applied this onto my neck area.. Initially there is some breakouts too, but now the skin on my neck area is much smoother. This serum works hand in hand with my current skin care products. The serum i’m using costs $165. It’s pricey but worth the investment. Ladies, you can go to this website for VICCAL point of sale. So now, how do i counter side effects and discoloration from hair removal procedures? This serum is gentle yet effective for everyday use on rough and darkened areas like the underarms, elbows and kneecaps. It also help to prevent undesirable side effects from any hair-removal procedures. (1) Sakura Extract: To hydrates and smooth-en skin. (2) Amurense Bark: Acts as an anti-bacterial and reduces follicle and pore infection. (3) Artichoke Extract: Prevent inflammation of skin inflammation and itchiness. (4) Organic Rosewater: Gently calms the skin. (5) Aloe Vera Extract : Wound-healing and soothes skin. 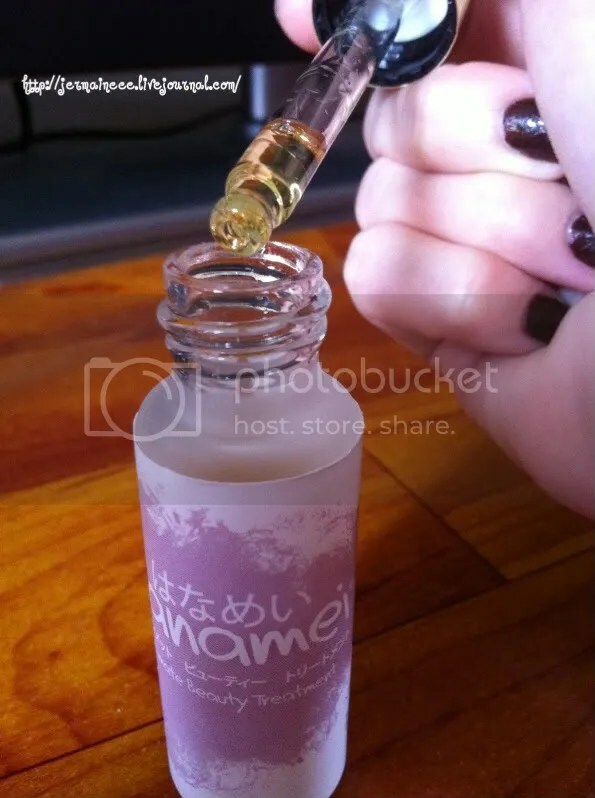 Hanamei® is formulated with organic Japanese plant ingredient. Each botanical extract is free from alcohol, artificial preservatives and colourants, all carefully selected and blended to care for any delicate skin. 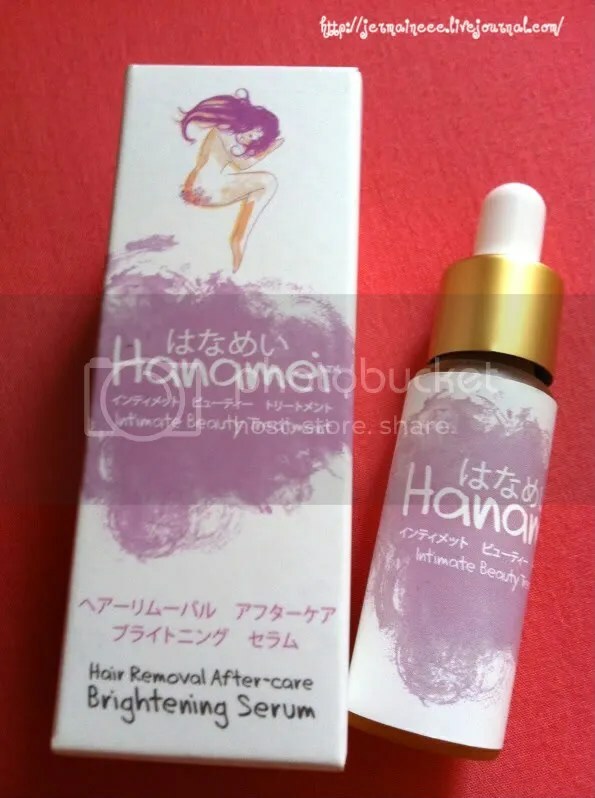 After any hair removal therapy, the Hanamei® Intimate Beauty Treatment range (Serum and Mask) provides instant relief and ensures skin stays healthy, smooth and fair. (1) Contains multiple botanical actives to minimize ingrown hair and lighten darkened skin due to hair removal and micro-abrasion. (2) With organic Rosewater, this serum contains skin-nourishing natural actives that allows easy and quick absorbency for more radiant, hydrated and healthy skin. (3) Retain skin’s resilience and elasticity. (4) Lighten darken skin induced by hair removal and micro-abrasion. My Verdict: Fuss free, easy to use dispenser: Just gently pat a few drops on desired area and massage till serum is fully absorbed into skin. This serum can be used on under-arms, elbows or kneecaps. Serum is watery, being absorbed fast and there’s no sticky aftermath. 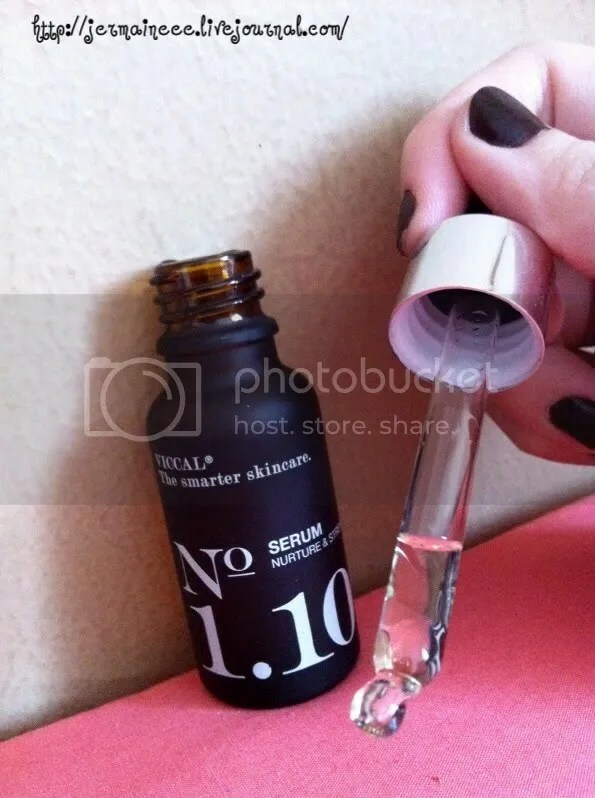 The serum has a faint rose smell which i really ♥ ! Will use this serum on my under arms twice a day after shower. Before using this serum, i will always suffer from in-growth hair and sometimes clogged pores after shaving. 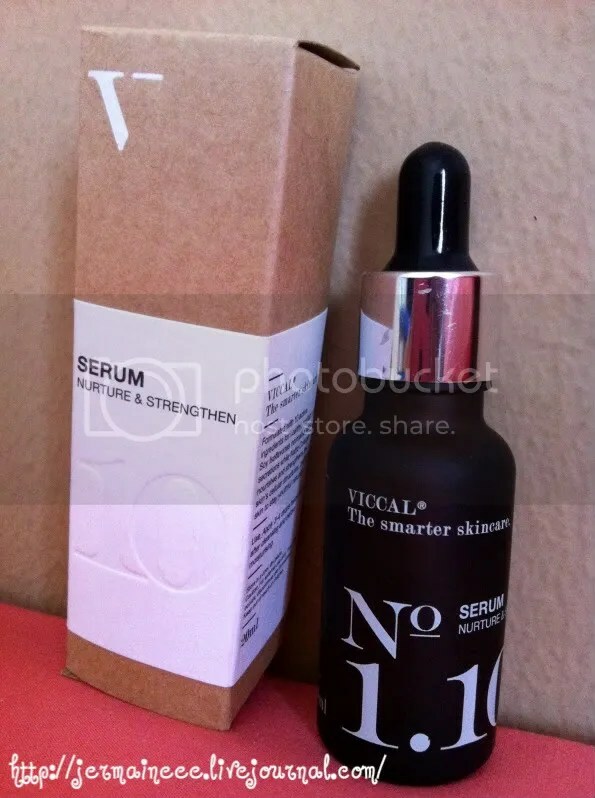 After using this serum for 1 month, i noticed that skin is brighter and the skin on my underarms are smoother. There is also lesser ingrown hair and discomfort (Mainly itch) is gone. For many who undergoes hair removal procedures like waxing, plucking and shaving, there can be undesirable side effects. Hanamei® is created specifically to remove bumps, ingrown hair, skin discoloration, inflammation and soreness. (1) Caring and providing relief for the delicate skin in the bikini area after hair removal therapies. (2) Formulated with organic rosewater on a cotton mask to allow easily absorption, it will keep intimate areas supple and smooth. (3) After any hair removal session done on your bikini area, just put this chilled mask on to soothe skin soreness. It promise to deliver instant relief and help reduce redness and skin irritation; not forgetting preventing inflamed pores. (4) For best results, use it together with the Brightening serum. My Verdict: This mask has a light rose scent and application is a breeze. Only thing is that you have to make sure that there’s protective sheets on your chair or bed to prevent any staining. Alternative you can chose to stay in the toilet for 10-15 minutes while masking. After using the mask for the first time after my hair removal session, it has a very soothing effect. I have observed that my skin is calmer as i have sensitive skin which is prone to redness after any hair removal done). After 7 days of continuous usage of the mask together with the Hanamei Brightening Serum , there’s lesser in growth hair, reduced itchiness and a smoother skin. For more information or sales enquiry, you can send an E-mail. (Sponsored Review) My In Square Experience..